If Humboldt is America’s outspoken capital of craft cannabis, Southern Oregon is its cagey neighbor with a high fence—enjoying the Emerald Triangle weather and engaged in its primary trade, but just over the state line and surviving by keeping its head down. Or at least that was the case during the medical-only era, when growers enjoyed an opportunity to hone their skills but also faced the threat of federal intervention. 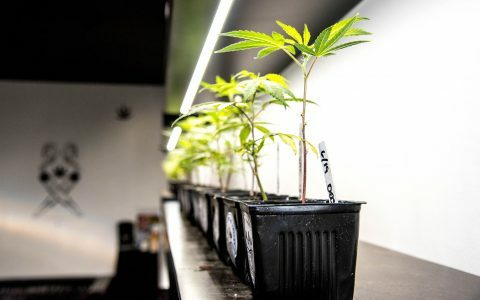 Nowadays, many of the state’s expert cultivators have emerged from their respective systems of anonymity to claim their work and present to consumers an intersection of world-class skill and industry-leading genetics. More Interested in Shopping by Strain? What many call a green rush could just as well be called a renaissance: one composed of exotic plants, horticultural and medical innovation, and meaningful political progress—the moment electrified by a newfound sense of freedom and populated by outlaw artisans shedding prohibition’s anxieties. The exuberance of the times is best experienced in the flowers themselves. 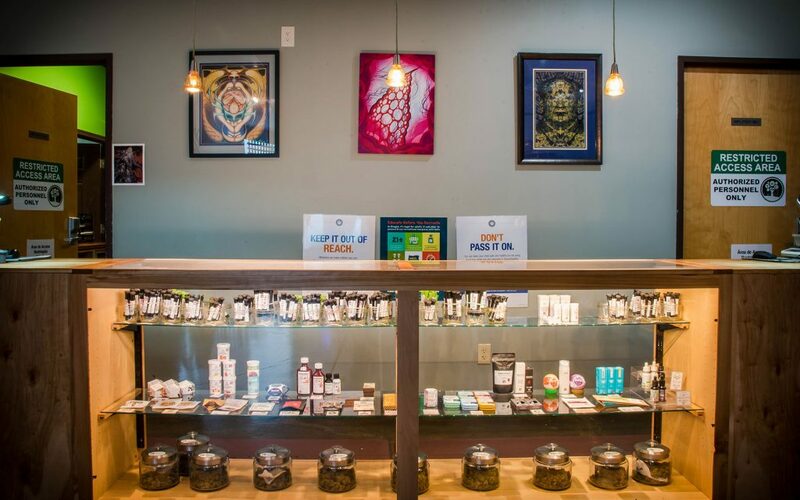 You’ll find these celebrations of liberty peppered throughout the city’s many dispensaries. Generally speaking, most shops will have something great to offer, but a few have demonstrated a capacity to cut through the noise and deliver the very best of an increasingly competitive and quality-driven marketplace. Let’s shrink ourselves small and take the magic school bus down the top shelf. Address: 2145 NE Martin Luther King Jr Blvd. Patterned accents draw the eye between points of interest in Jayne’s reception room—a twee diorama containing a row of joints hung like a deconstructed chandelier features—while DIY aesthetics and a Property Brothers meets Kinfolk design contextualize lifestyle goods and a full-service cannabis menu at the Northeast Portland herbal hideaway. 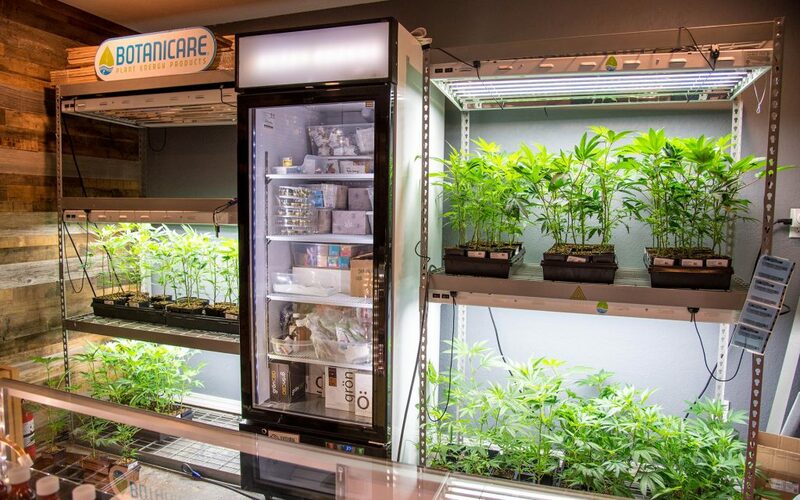 The shop’s connoisseur-oriented flower menu is culled from in-demand growers with a sustainability lean, including High Noon Cultivation, Deschutes Growery, and Heroes of the Farm. Recent finds of note include the citrus-palleted Purple Apricot grown by High Latitude Farms, as well as the day-shifting mood enhancement that is High Noon’s “Pinesicle” cut of the Swamp Boys-bred Helen Back. Meanwhile, these top-self options are filled out with always-reliable, CBD-rich options from sungrown manufacturer East Fork Cultivars, as well as ultra-eco-conscious nugs raised within Green Source Gardens’ closed-loop, beyond-organic acreages. 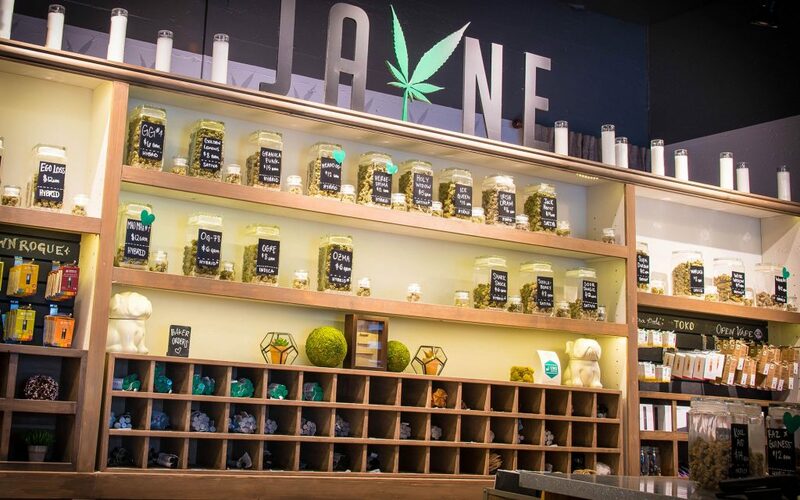 In addition to an impressive flower menu that enables consumers to shop their conscience whether purchasing lamp-assisted or sungrown selections—not to mention a smart variety of cartridges, edibles, and consumption devices both innovative and classic—Jayne’s upbeat service never falters. The mood is positive and mild-mannered, the creative but tidy aesthetic creates an easy, at-home feel, and a sense of kindness and professionalism is maintained from reception through the wave goodbye. Address: 10645 SE Henry St. When I think of unwavering connoisseur quality, Archive Portland tops the list. Known across the cannabis industry for their breeding and preservation work, Seattle-based Archive Seed Bank launched their Portland retail outpost back in 2016, espousing nursery intentions and bringing to market clones from an extensive stable of living genetics—believed to be the largest recreational library in Oregon, with more than 750 unique strains. Archive releases a rotating cast of living examples from their library—helping local farmers gain legal access to rare varietals in plant form. Old school favorites like Archive’s verifiable cut of the original Sour Diesel as well as crowd pleasers like One Love, I-95, and Zkittlez are grown by the brand’s recreational production arm, Archive (formerly known as Burnside Garden Collective) and sold consumer-direct at the deep Southeast Portland retail location. Alongside Archive’s high-quality, vertically integrated flowers, they stock a strong lineup of top Oregon talent: extended collections of exclusive Resin Ranchers funk, Oregon-bred curiosities from Deep Creek (aka Dynasty Genetics), and fuel-strain mastery out of craft-organic indoor exemplars, Nelson & Co. Organics. 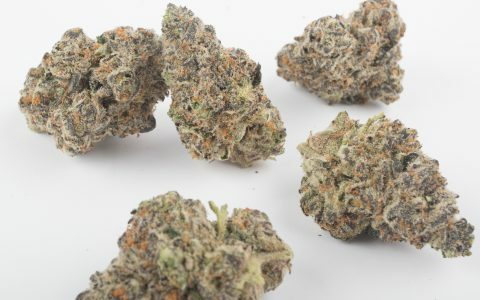 And should you be a grower, you’d be well advised to take advantage of Archive’s seed offerings—their recent line of Do-Si-Dos crosses holds great keeper potential. Last but not least, true to Archive’s preservationist mission statement, the Portland shop regularly releases a rotating cast of living examples from their library—helping local rec, medical, and hobbyist farmers gain legal access to rare varietals in plant form. It says a lot that you can smell TreeHouse Collective from outside the building—a testament to the odiferous top-shelf options common to the store. 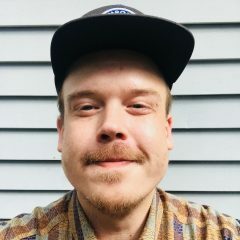 When I recently followed the aroma off the sidewalk and into the building, a budtender was guiding a customer through TreeHouse’s concentrate case, pointing out several options that placed in the Dope Cup just the day before. A coincidence, yes, but another bit of evidence for the strong curatorial eye overseeing intake at the shop. It’s the same eye that time and time again singles out collections of flower that rank best-in-city for a given moment. Pot of Gold’s High Octane OG, Archive’s Lemon Peel, and Resin Rancher’s GMO Cookies were on the shelf at the time of this writing—all of which would be strong competitors in any cannabis market. Also stocked are the best-in-class cartridges from Winberry Farms, artisanal gummies from WYLD, and the travel-friendly infused breath fresheners known as Mr. Moxey’s Mints. And given the recreational focus with the connoisseur lean, the competitive dab options shouldn’t feel amiss: Nelson & Co’s full-melt water hash (so effing tasty and potent), Echo Electuary’s take on diamonds, dubbed “Terps on the Rocks,” plus rare, limited-run rosins from Resin Ranchers.